Babli Chaudhry remembers her younger brother Sumit as a simple young man who always wanted to join the army. 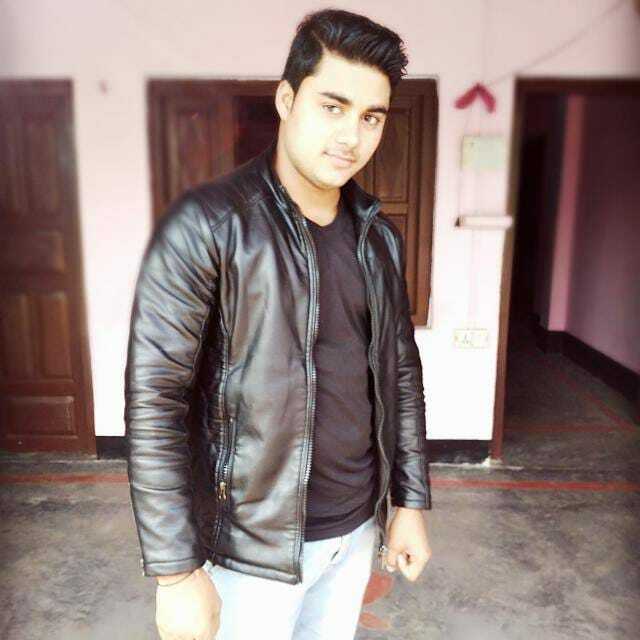 Just 100 Kilometers from National Capital New Delhi, Sumit was killed in an incident of mob violence on Monday in Chingrawati village of Syana area of Bulandshahr district in Western Uttar Pradesh. 20-year-old Sumit was part of the mob which had blocked the road protesting against the alleged cow slaughter. It was in this violence that SHO of the Syaana area, Inspector Subodh Kumar was killed. 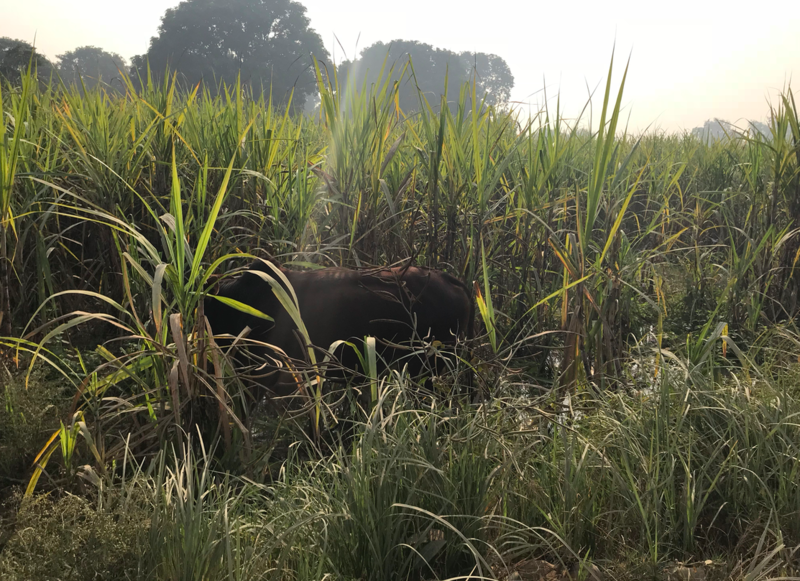 This area of Bulandshahr is known for its sweet sugarcane fields. But now it seems that communal poison is spreading. Strange fear and tension can be seen on faces of local people but nobody wants to talk about it. Silence has engulfed Chingrawati. Heavy police forces are deployed to keep the peace. Almost all of the youth of this village have fled fearing police crackdown. Only a few young kids and senior citizens can be seen around. A narrow path from Chingrawati leads to Mahav village. The alleged cow slaughter happened here. The village looks deserted and engulfed in eery silence. When I reached the village at 8 am, I could only see women riding in buggies to work in the fields. This is the time to reap hard earned sugarcane crops. The farmers have for long been troubled by the government’s negligence of the sugarcane crop. This violence has only added to their woes. For Priti Chaudhary, a resident of Mahav, Monday was like just another day. Wed into a prosperous family of farmers, Priti is a mother of two young boys. The family owns many cattle. She was living a happy life till Monday. 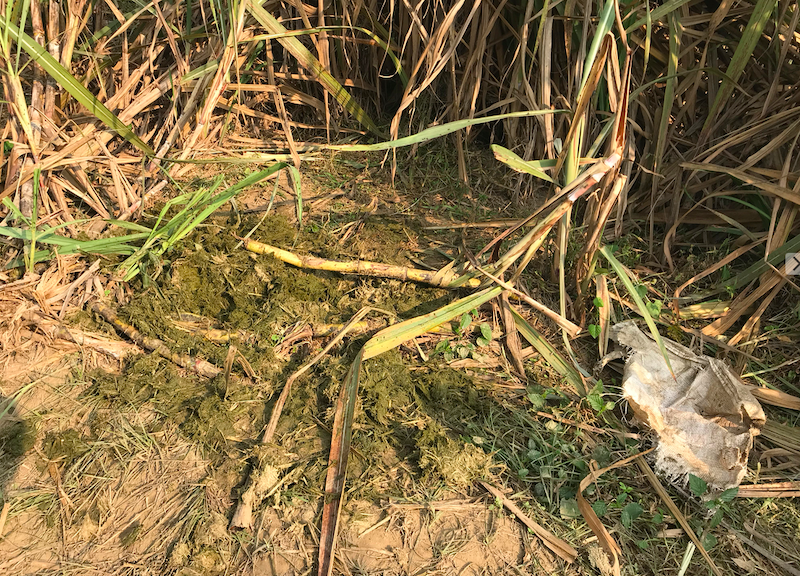 But now, she cries remembering the time when her husband was informed about carcasses that were found in their sugarcane field. 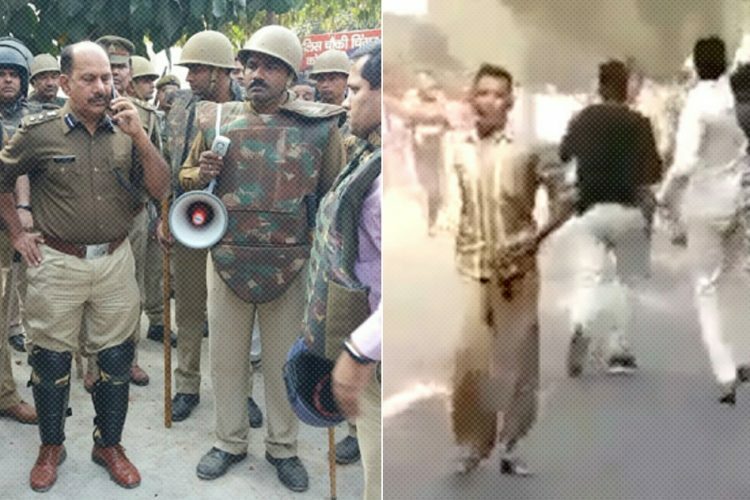 The protests at the Chingrawati police station turned violent which killed SHO Subodh Kumar and 20-year-old Sumit. 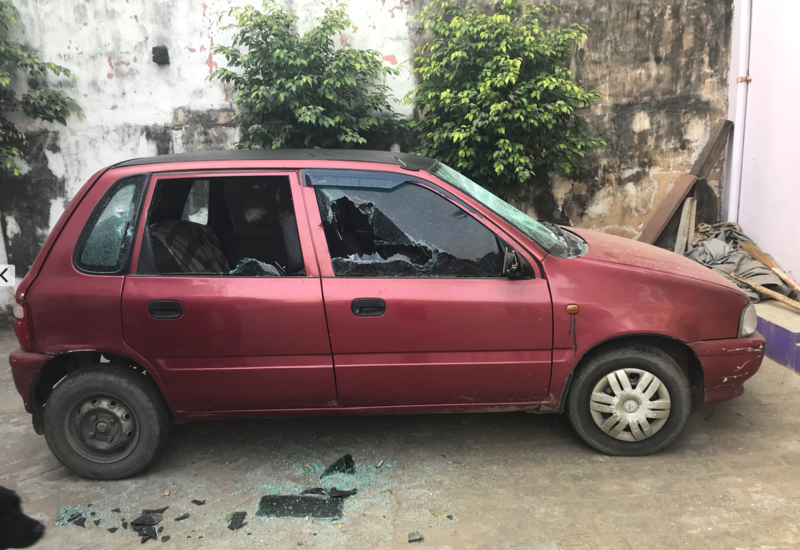 Priti said that on the night of Monday, the police forcibly entered her house and ransacked it. 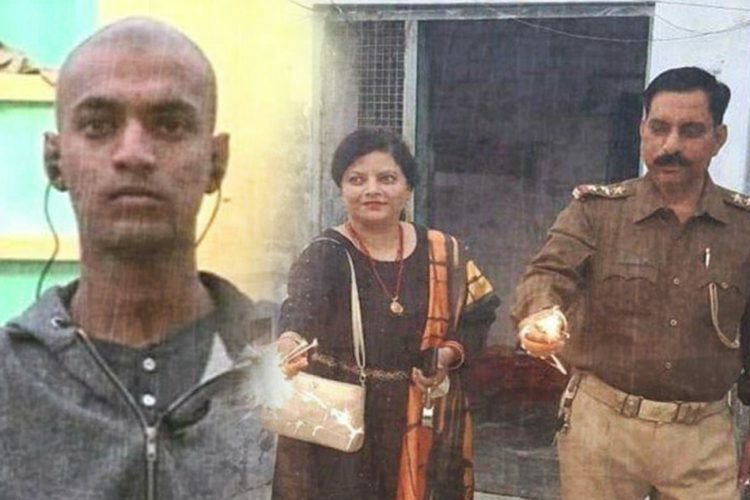 Priti’s husband Rajkumar Chaudhry is named as one of the accused in the FIR filed in connection with the violence. In fact, the police had raided her home to arrest him. Rajkumar is on the run and she has not heard from him since Monday. Priti alleges that she was beaten up by the all-male police team and that they damaged the car and everything else they came across. 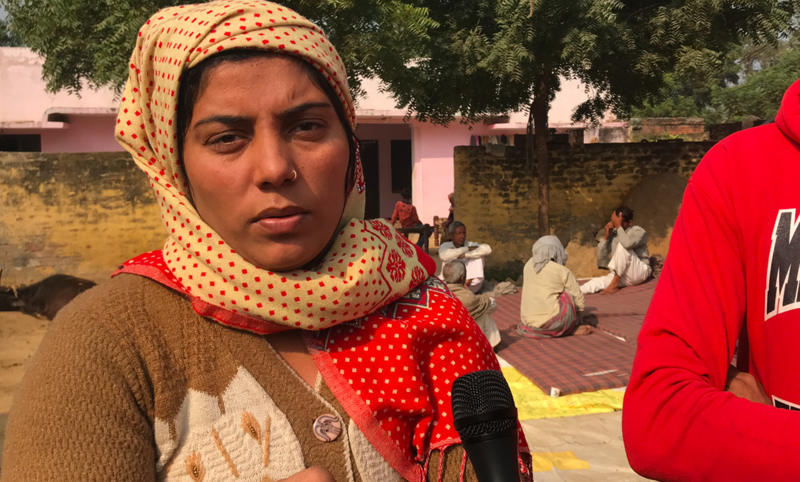 After the violence, Priti’s husband has been absconding. The responsibility of reaping the sugarcane crop has now fallen up Priti’s shoulders. Priti adds that had the Bajrang Dal workers not arrived at the spot and insisted for the protest, this day would have not come. The family of Indian Army Solider Jeetendra Malik lives at the other end of Mahav village. Now, only his mother, Ratan Kaur, is present at his home. Incessant crying has taken toll of her health. 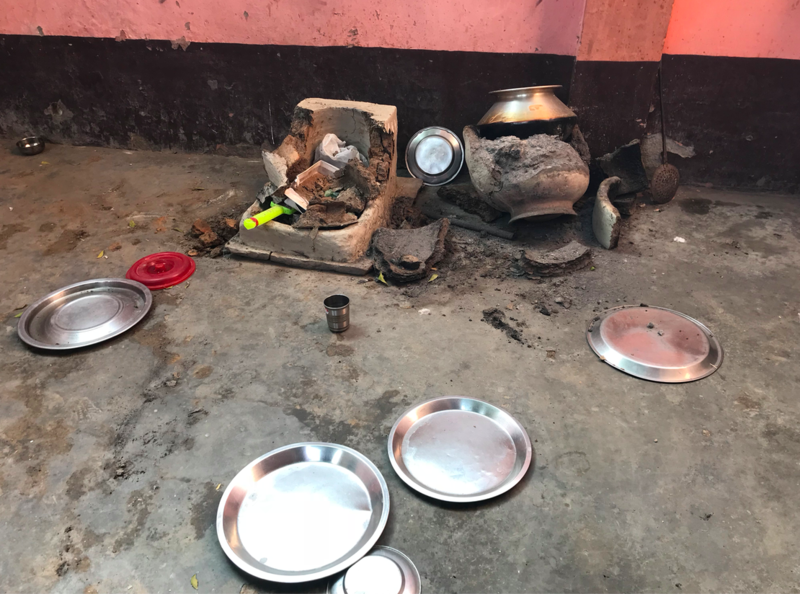 Ratan Kaur accuses police of vandalising her house on Monday night. Her sadness over this is quite visible. Everything remains scattered in the house. 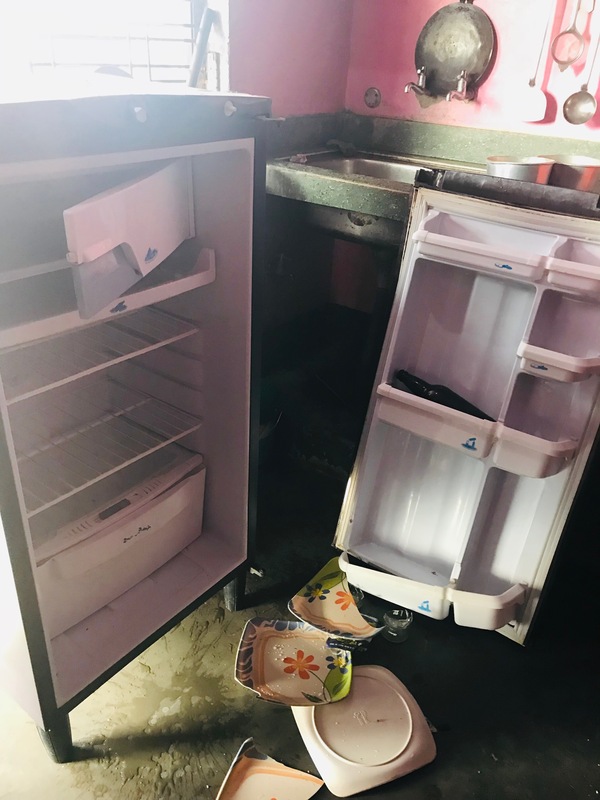 Washing machine, fans, television and many other items lay broken. 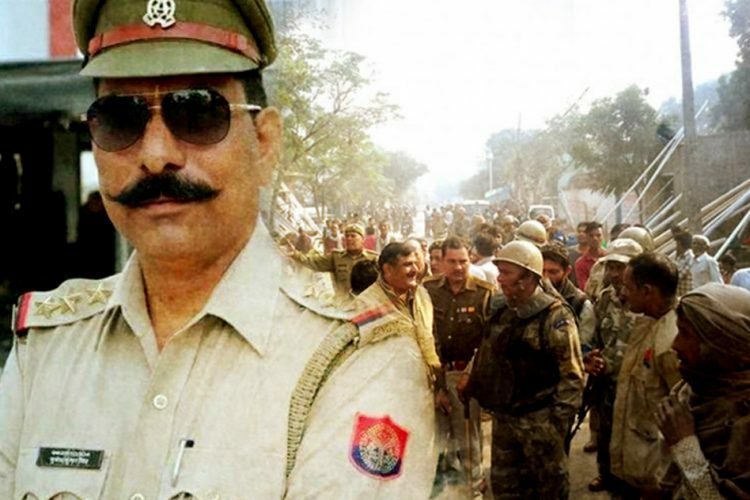 Whether Jeetendra Malik was part of the mob or not will be revealed by the police investigation. 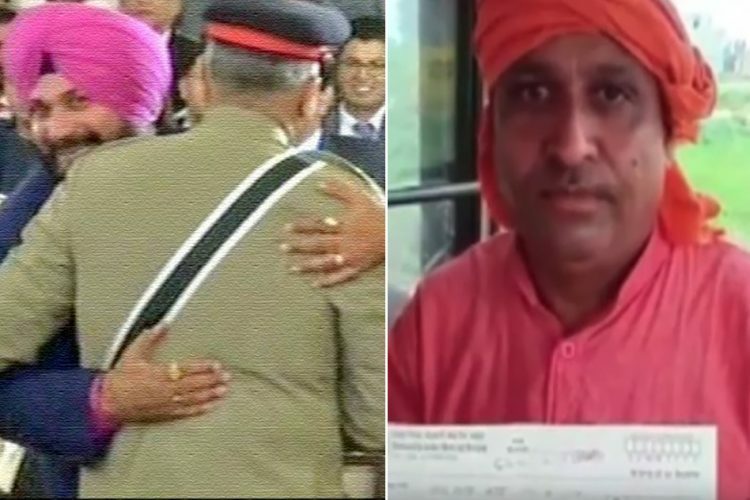 It is alleged that he shot SHO Subodh Kumar. But his mother thinks he is innocent and is framed in this case. Rajkumar’s field where the carcasses were found is at least one km away from the village. There are two ways to reach the field, one through Mahav village or the other way which connects to the main road after 3kms. Blood is still splattered in the field and remains can be seen. When I visited the field, labourers were reaping sugarcane crop. Stray cows are the biggest issue in this area. To save crops from these stray cows, the farmers have to invest in the wire fencing. Rajkumar’s fields are also fenced on all sides. Most of the people in this area are emotionally attached to the cows. They prey them and consider them very sacred. cows are kept for milk in most of the agricultural households. But when these cows stop milking they are abandoned. Police is investigating whether alleged cow slaughter happened in Rajkumar’s field or someone planted carcasses there. 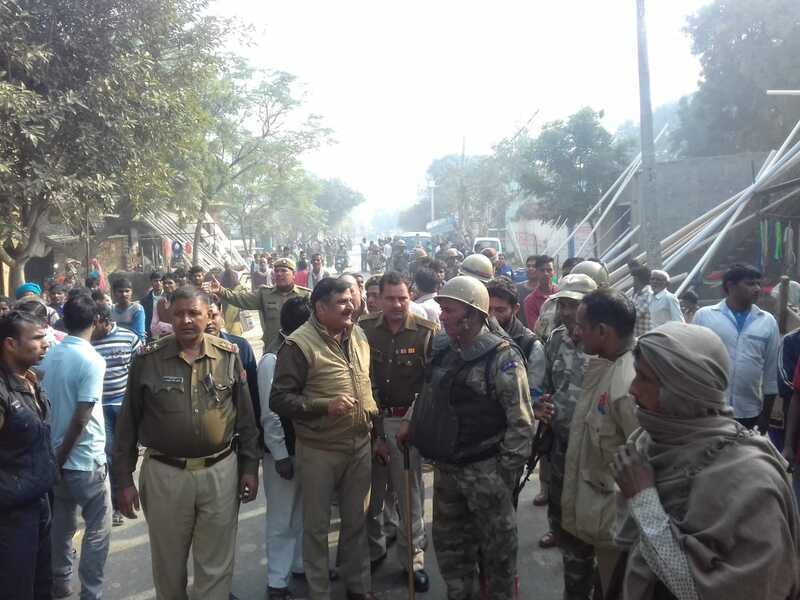 Senior officials of Uttar Pradesh Police have already suggested a big conspiracy behind the violence. It is possible that the cows were slaughtered for meat. It is also possible that the carcasses were planted. 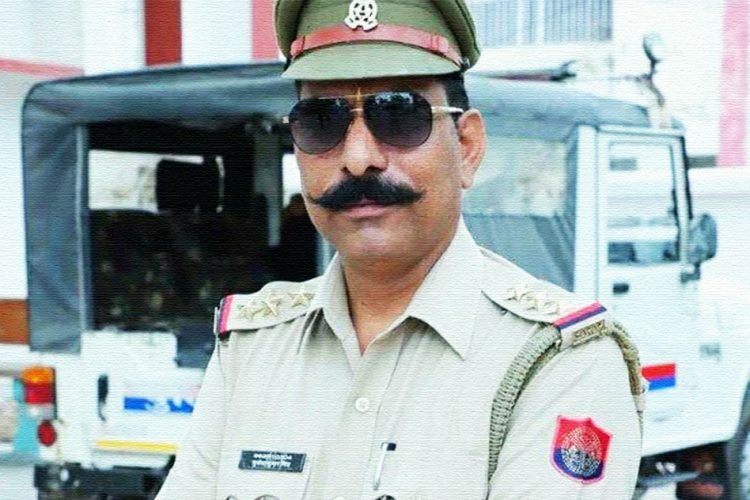 Bulandshahr police say that their first priority is to solve this mystery. Whoever is behind all this, one thing is clear that this incident has disturbed the peace and had disturbed many lives in the nearby villages. The women seem most impacted and now faces the challenge of dealing with extraordinary aftermaths of the violence. Sumit’s mother has nearly lost her voice. She sits in a corner of her house silently. She and her husband are on indefinite strike. They demand monetary aid for their family and Justice for their killed Son. Sumit’s brother Vineet is pained by politics on his brother’s death. He says the most painful part is that some politicians are trying to reap political benefits at his brother’ death. 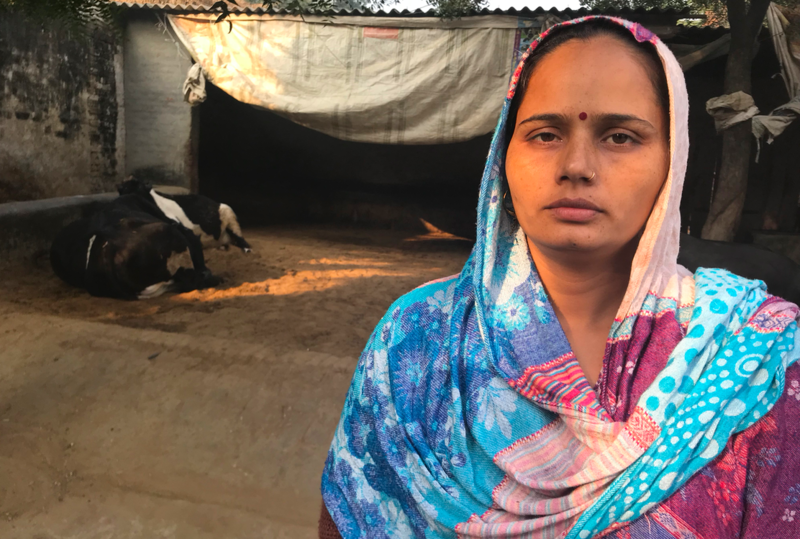 In Syana, Aurangabad and other areas of Bulandshahr, many incidents of alleged cow slaughter have been reported in the last few months. There is a sudden spike in recent weeks. Two separate incidents of alleged cow-slaughter and attack on cows have been reported in Aurangabad area since Monday. In one incident police arrested 4 alleged cow killers and sent them to jail. In another incident, a cow was injured in an attack by unknown assailants. The crowd gathered and Hindutva activists tried to stage protests. Heave police forces were deployed to control the situation. 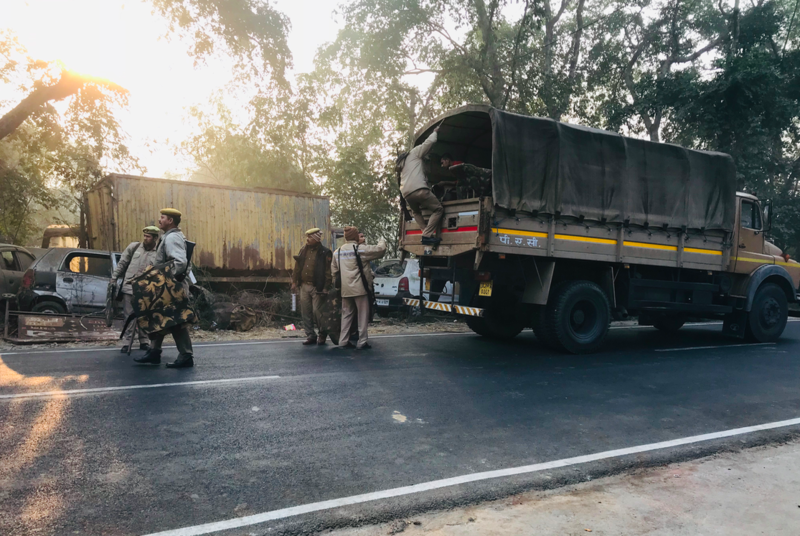 These incidents reported after Chingrawati violence suggests that there is something big at play in this part of western Uttar Pradesh and it is a really difficult time for local people and police administration. 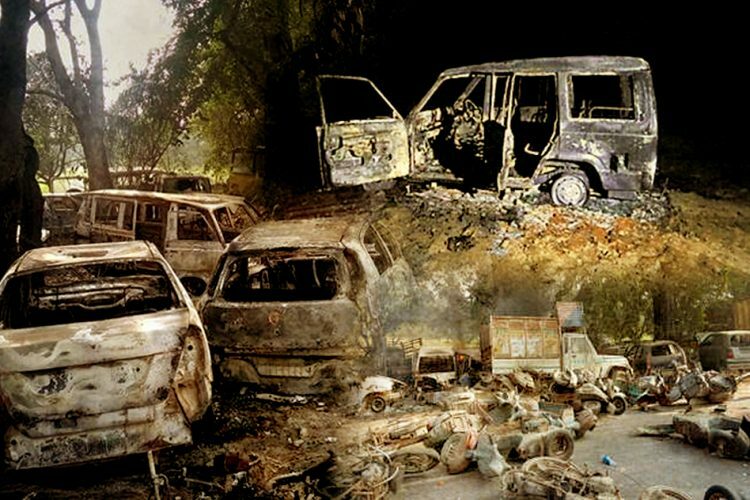 The common people need to be vigilant and resilient and administration needs to be more proactive, otherwise even a minor incident can spiral out of control and cause may even cause a big riot.